YES SIR-EE YET ANOTHER LOCAL 1-OWNER VEHICLE WE WERE LUCKY ENOUGH TO TRADE IN . . . . THIS POWERED UP EVER POPULAR TOYOTA HIGHLANDER IS READY TO SERVE ITS 2ND OWNER AS WELL IT HAS TREATED ITS 1ST . . . . WITH CLOTH INTERIOR AND A POWER SUN-MOON ROOF THIS VEHICLE COMES WITH A FREE WARRANTY AND YES CAN BE FINANCED TO QUALIFIED CONSUMERS !!! 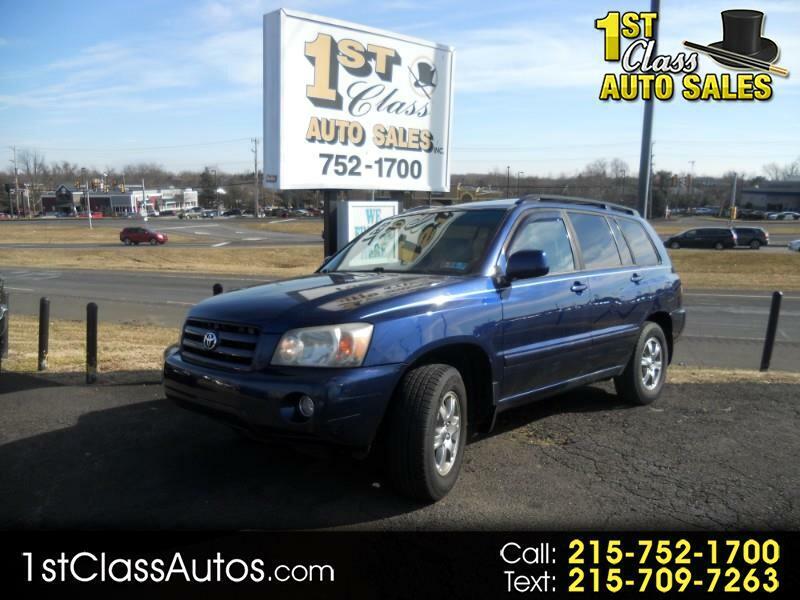 GET THROUGH THE UP-COMING SNOW STORMS FOR NOT A LOT OF $$$$ WITH THIS TOYOTA TUFF HIGHLANDER !!! !